M. R. Bogala and R. G. Reddy, “Synthesis, Characterization and Gibbs Energy of Thermoelectric Mg2Si, Ceramic Transactions, Vol. 259, pp. 143-152, 2016. M. R. Bogala, and R. G. Reddy, “Thermodynamic assessment of TiO2 reduction to Ti metal in Molten CaCl2”, J. Manuf. Sci. Prod., Vol. 16(1), pp. 1-11, 2016. Yuxiang Peng and Ramana G. Reddy, “Melting Point and Heat Capacity of MgCl2 + Mg Salts” Advances in Molten Slags, Fluxes and Salts, TMS, pp. 525 -534, 2016. H. Yang and R. G. Reddy, “Electrochemical Kinetics of Reduction of Zinc Oxide to Zinc using 2:1 Urea.ChCl Ionic Liquid”, Elecrochimica Acta, Vol. 178, pp. 617-623, 2015. Y. Li and R. G. Reddy, “Experimental and Numerical investigation of Thermal Plasma Synthesis of Silicon”, J. Manuf. Sci. Prod., Vol 15 (4), pp. 345-354, 2015. M. Ramachandran and R. G. Reddy, “Direct reduction of Magnesium oxide to magnesium using thermal plasma technology”, Minerals & Metallurgical Processing Journal, Vol. 32(1), pp.30-37, February 2015. Mallikharjuna R. Bogala and Ramana G. Reddy, “Thermodynamic assessment of electrochemical reduction of TiO2 in molten CaCl2”, Advances in Slags, Fluxes and Salts, TMS, May 22, 2016. R. G. Reddy, “Reduction of Silicon Oxide to Silicon in Thermal Plasma Reactor”, SME, Phoenix, AZ, February 23, 2016. M. R. Bogala and R. G. Reddy, “Determination of phase equilibria and thermodynamic properties of metal doped magnesium Silicides”, TMS, Nashville, TN, February 17, 2016. Y. Li and R. G. Reddy, “Experimental and Numerical investigation of thermal plasma synthesis of silicon”, TMS, Nashville, TN, February 17, 2016. J. Young, H. Yang, R. G. Reddy, “Synthesis and grain growth rates of Ti-Ni-Sn based Thermoelectric alloys”, TMS, Nashville, TN, February 16, 2016. R. G. Reddy, invited talk, “Advances in Processing of Lightweight Metal Matrix Composites”, NCAMPC-2016, NIT, Warangal, India, January 6, 2016. M. R. Bogala and R. G. Reddy, “Synthesis, Characterization and Stability of Thermoelectric Magnesium Silicide Powder”, MS&T 2016, Columbus, OH, October 5, 2015. R. G. Reddy, Invited, “Innovations in Electrochemical Processing of Non-Ferrous Metals”, Central South University, Changsha, China, July 20, 2015. R. G. Reddy, Seminar, “Novel Processing of Non-Ferrous Metals”, Non- Ferrous Metals, Beijing, China, July 21, 2015. R. G. Reddy, Plenary lecture, “Novel Applications of Molten Organic Salts in Electrochemical Processing of Metals”, 10th international conference on molten salt Chemistry and technology, 5th Asian conference on molten salt chemistry and technology Northeastern University, China, June, 11, 2015. R. G. Reddy, Seminar, “Innovations in Processing of Lightweight Metal Matrix Composite”, Chongqing University, Chongqing, China, June 1, 2015. N. A. Gokcen and R. G. Reddy (Authors), Thermodynamics, Plenum Publ., New York, N.Y., USA, 1996. R. G. Reddy and N. A. Gokcen (authors), Solutions Manual to the text book by N. A. Gokcen and R. G. Reddy (authors), Thermodynamics, Plenum Publishers, New York, NY, USA, 1998. R. G. Reddy, J. L. Hendrix and P. B. Queneau (editors), Arsenic Metallurgy Fundamentals and Applications, TMS-AIME, Warrendale, PA, USA, 515 pp, 1988. R. G. Reddy, W. P. Imrie and P.B. Queneau (editors), Residues and Effluents-Processing and Environmental Considerations, TMS, Warrendale, PA, USA, 901 pp, 1992. R. G. Reddy and R. N. Weizenbach (editors), Extractive Metallurgy of Copper, Nickel and Cobalt, Proceedings of Paul E. Queneau International Symposium, TMS, Warrendale, PA, USA, 1313 pp, 1993. R. G. Reddy and B. Mishra (editors), Trace and Reactive Metals, TMS, Warrendale, PA, USA, 291 pp, 1995. R. Y. Lin, A.Y. Chang, R. G. Reddy and C. T. Liu (editors), Physical Chemistry of High-Temperature Composites, Intermetallics and Metal-Ceramic Systems, TMS, Warrendale, PA, USA, 451 pp, 1996. S. Viswanathan, R. G. Reddy and J. C. Malas (editors), Sensors and Modeling to Materials Processing, TMS, Warrendale, PA, USA, 406 pp, 1997. R. G. Reddy (editor), 2003 NSF Design, Service, and Manufacturing Grantees and Research Conference Proceedings, The University of Alabama, Tuscaloosa, AL, USA, CD-1, 3685 pp, 2003. R. G. Reddy (editor), 2003 NSF Design, Service, and Manufacturing Grantees and Research Conference Proceedings, The University of Alabama, Tuscaloosa, AL, USA, CD-2, 367 pp, 2003. R. G. Reddy and V. Ramachandran (editors), Arsenic Metallurgy, TMS, Warrendale, PA, USA, 330 pp., 2005. M. Schlesinger, R. G. Reddy, V. Ramachandran, A. Ross, T. Warner and K. Scholey, EPD Congress 2005, Arsenic Metallurgy, Converter and Fire Refining Practices, TMS Warrendale, PA, USA, CD, 1807 pp., 2006. 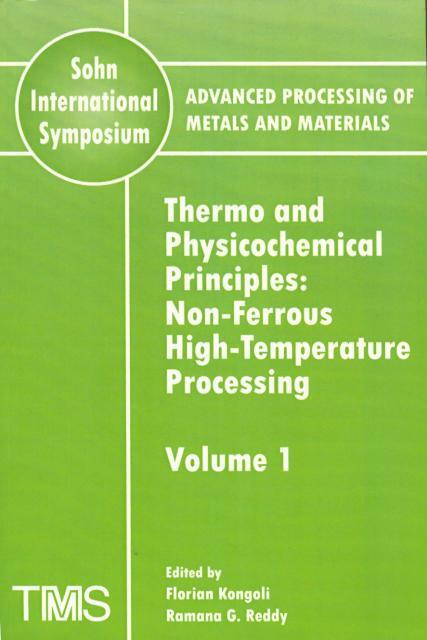 F. Kongoli and R. G. Reddy, Advanced Processing of Metals and Materials, Thermo and Physicochemical Principles: Non-Ferrous High-Temperature Processing, Sohn International Symposium, TMS Warrendale, PA, USA, CD, Vol. 1, 845 pp., 2006. F. Kongoli and R. G. Reddy, Advanced Processing of Metals and Materials, Thermo and Physicochemical Principles: Iron and Steel Making, TMS Warrendale, PA, USA, Vol. 2, 665 pp., 2006. F. Kongoli and R. G. Reddy, Advanced Processing of Metals and Materials, Thermo and Physicochemical Principles: Special Materials, Aqueous and Electrochemical Processing, TMS Warrendale, PA, USA, Vol. 3, 726 pp., 2006. F. Kongoli and R. G. Reddy, Advanced Processing of Metals and Materials, New Improved and Existing Technologies: Non-Ferrous Materials Extraction and Processing, TMS Warrendale, PA, USA, Vol. 4, 642 pp., 2006. F. Kongoli and R. G. Reddy, Advanced Processing of Metals and Materials, New Improved and Existing Technologies: Iron and Steel, Recycling and Waste Treatment, TMS Warrendale, PA, USA, Vol. 5, 623 pp., 2006. F. Kongoli and R. G. Reddy, Advanced Processing of Metals and Materials, New Improved and Existing Technologies: Aqueous and Electrochemical Processing, TMS Warrendale, PA, USA, Vol. 6, 657 pp., 2006. F. Kongoli and R. G. Reddy, Advanced Processing of Metals and Materials, Industrial Practice, TMS Warrendale, PA, USA, Vol. 7, 573 pp., 2006. F. Kongoli and R. G. Reddy, Advanced Processing of Metals and Materials, International Symposium on Sulfide Smelting 2006, TMS Warrendale, PA, USA, Vol. 8, 763 pp., 2006. F. Kongoli and R. G. Reddy, Advanced Processing of Metals and Materials, Legal, Management and Environmental Issues, TMS Warrendale, PA, USA, Vol. 9, 489 pp., 2006. N. R. Neelameggham and R. G. Reddy (editors) Carbon Dioxide Reduction Metallurgy, TMS, Warrendale, PA USA, 203 pp, 2008. N. R. Neelameggham, Ramana G. Reddy, Cynthia K. Belt and Edger E. Vidal (editors), Energy Technology Perspectives: Conservation, Carbon Dioxide Reduction and Production from Alternative Sources, TMS, Warrendale, PA, USA, 219 pp., 2009. N. R. Neelameggham, Ramana G. Reddy, Cynthia K. Belt, Ann M. Hagni and Subodh Das (editors), Energy Technology 2010: Conservation, Greenhouse Gas Reduction and Management, Alternative Energy Sources, TMS Warrendale, PA, USA, 234 pp., 2010. N. R. Neelameggham, Cynthia K. Belt, Mark Jolly, Ramana G. Reddy and James A. Yurko (editors), Energy Technology 2011: Carbon Dioxide and other Greenhouse Gas Reduction Metallurgy and Waste Heat Recovery, John Wiley & Sons, Inc., New Jersey, USA, ISBN 978-1-11803-651-8, TMS Warrendale, PA, USA, 278 pp., 2011. A. Imam, F. H. (Sam) Froes and R. G. Reddy, Cost Affordable Titanium IV, Trans. Tech. Publication Ltd., Kreuzstrasse, Switzerland, ISSN: 1013-9826, 226 pp. 2013. R. G. Reddy, P. Chaubal, P. C. Pistorius and U. Pal, Advances in Molten Slags, Fluxes and Salts, CD, Wiley-TMS , USA, ISSN: 10987654321, 1420 pp. 2016. R. G. Reddy, Metallurgy of Copper, Nickel, Cobalt, pp. 649-758, EPD Congress, J. H. Hager (editor), TMS Publication, Warrandale, pp. 1372, 1992. R. G. Reddy, Process Fundamentals, pp 3-141, EPD Congress, G.W. Warren (editor), TMS Publication, Warrandale, pp. 578, 1995. R. G. Reddy, Process Fundamentals, pp 345-526, EPD Congress, G.W. Warren (editor), TMS Publication, Warrandale, pp. 1036, 1996. S. Viswanathan and R. G. Reddy, Materials Processing Fundamentals, pp 621-681, EPD Congress, G. W. Warren (editor), TMS Publication, Warrandale, pp. 1036, 1996. B. Mishra, G. J. Kipouros and R. G.Reddy, Reactive Metals: Processing and Applications, pp. 1075-1220, Light Metals, W. Hale (editor), TMS Publication, Warrandale, pp. 1279, 1996. R. G. Reddy, S. Visvanathan and P. R. Taylor, Materials Processing Fundamentals, in EPD Congress, B. Mishra (editor), TMS Publication, Warendale, USA, pp. 5-335, 1997. A. Lossin, N. L. Piret, R. G. Reddy and J. E. Hoffman , Co-products from Cu, Ni, & Co Processing, in EPD Congress, B. Mishra (editor), TMS Publication, Warrandale, USA, pp. 933-994, 1999. A. Pelton and R. G. Reddy, (Special Issue), The Milton Blander Symposium on Thermodynamic Predictions and Applications, Metallurgical & Materials Transactions, Vol. 31B, pp 579- 682, 2000. Ramana G. Reddy, Editor-in-Chief, The International Journal for Manufacturing Science & Production, Freund Publishing House Ltd., Tel Aviv, Israel, Volume 7, Issue 1, 2006. Ramana G. Reddy, Editor-in-Chief, The International Journal for Manufacturing Science & Production, Freund Publishing House Ltd., Tel Aviv, Israel, Volume 7, Issue 2, 2006. Ramana G. Reddy, Editor-in-Chief, The International Journal for Manufacturing Science & Production, Freund Publishing House Ltd., Tel Aviv, Israel, Volume 7, Issue 3&4, 2006. Ramana G. Reddy, Editor-in-Chief, The International Journal for Manufacturing Science & Production, Freund Publishing House Ltd., Tel Aviv, Israel, Volume 8, Issue 1, 2007. Ramana G. Reddy, Editor-in-Chief, The International Journal for Manufacturing Science & Production, Freund Publishing House Ltd., Tel Aviv, Israel, Volume 8, Issue 2-4, 2007. Ramana G. Reddy, Editor-in-Chief, The International Journal for Manufacturing Science & Production, Freund Publishing House Ltd., Tel Aviv, Israel, Volume 9, Issue 1-2, 2008. Ramana G. Reddy, Editor-in-Chief, The International Journal for Manufacturing Science & Production, Freund Publishing House Ltd., Tel Aviv, Israel, Vol. 9, Issue 3-4, 2008. Ramana G. Reddy, Editor-in-Chief, The International Journal for Manufacturing Science & Production, Freund Publishing House Ltd., Tel Aviv, Israel, Volume 10, Issue 1, 2009. Ramana G. Reddy, Editor-in-Chief, The International Journal for Manufacturing Science & Production, Freund Publishing House Ltd., Tel Aviv, Israel, Volume 10, Issue 2, 2009. Ramana G. Reddy, Editor-in-Chief, The International Journal for Manufacturing Science & Production, Freund Publishing House Ltd., Tel Aviv, Israel, Vol. 10, Issue 3-4, 2009. Ramana G. Reddy, Editor-in-Chief, Journal for Manufacturing Science and production, Walter de Gruyter GmbH & Co. KG, Germany, Vol. 11, Issue 1-3, 2011. Ramana G. Reddy, Editor-in-Chief, Journal for Manufacturing Science and production, Walter de Gruyter GmbH & Co. KG, Germany, Vol. 12, Issue 1, 2012. Ramana G. Reddy, Editor-in-Chief, Journal for Manufacturing Science and production, Walter de Gruyter GmbH & Co. KG, Germany, Vol. 12, Issue 2, 2012. Ramana G. Reddy, Editor-in-Chief, Journal for Manufacturing Science and production, Walter de Gruyter GmbH & Co. KG, Germany, Vol. 12, Issue 3 &4, 2012. Ramana G. Reddy, Editor-in-Chief, Journal for Manufacturing Science and production, Walter de Gruyter GmbH & Co. KG, Germany, Vol. 13, Issue 1, 2013. Ramana G. Reddy, Editor-in-Chief, Journal for Manufacturing Science and production, Walter de Gruyter GmbH & Co. KG, Germany, Vol. 13, Issue 2, 2013. Ramana G. Reddy, Editor-in-Chief, Journal for Manufacturing Science and production, Walter de Gruyter GmbH & Co. KG, Germany, Vol. 13, Issue 3, 2013. Ramana G. Reddy, Editor-in-Chief, Journal for Manufacturing Science and production, Walter de Gruyter GmbH & Co. KG, Germany, Vol. 13, Issue 4, 2013. Ramana G. Reddy, Editor-in-Chief, Journal for Manufacturing Science and production, Walter de Gruyter GmbH & Co. KG, Germany, Vol. 14, Issue 1, 2014. Ramana G. Reddy, Editor-in-Chief, Journal for Manufacturing Science and production, Walter de Gruyter GmbH & Co. KG, Germany, Vol. 14, Issue 2, 2014. Ramana G. Reddy, Editor-in-Chief, Journal for Manufacturing Science and production, Walter de Gruyter GmbH & Co. KG, Germany, Vol. 14, Issue 3, 2014. Ramana G. Reddy, Editor-in-Chief, Journal for Manufacturing Science and production, Walter de Gruyter GmbH & Co. KG, Germany, Vol. 14, Issue 4, 2014. Ramana G. Reddy, Editor-in-Chief, Journal for Manufacturing Science and production, Walter de Gruyter GmbH & Co. KG, Germany, Vol. I5 issue 1, 2015. Ramana G. Reddy, Editor-in-Chief, Journal for Manufacturing Science and production, Walter de Gruyter GmbH & Co. KG, Germany, Vol. I5 issue 2, 2015. Ramana G. Reddy, Editor-in-Chief, Journal for Manufacturing Science and production, Walter de Gruyter GmbH & Co. KG, Germany, Vol. I5 issue 3, 2015. Ramana G. Reddy, Editor-in-Chief, Journal for Manufacturing Science and production, Walter de Gruyter GmbH & Co. KG, Germany, Vol. I5 issue 4, 2015. Ramana G. Reddy, Editor-in-Chief, Journal for Manufacturing Science and production, Walter de Gruyter GmbH & Co. KG, Germany, Vol. I5 issue 1, 2016. Ramana G. Reddy, Editor-in-Chief, Journal for Manufacturing Science and production, Walter de Gruyter GmbH & Co. KG, Germany, Vol. I5 issue 2, 2016. Ramana G. Reddy, Editor-in-Chief, Journal for Manufacturing Science and production, Walter de Gruyter GmbH & Co. KG, Germany, Vol. I5 issue 3, 2016. Ramana G. Reddy, Editor-in-Chief, Journal for Manufacturing Science and production, Walter de Gruyter GmbH & Co. KG, Germany, Vol. I5 issue 4, 2016. A patent on “Production of Metal/Refractory Composites by Bubbling through a Melt” was issued. Inventors are Ramana G. Reddy and Banqiu Wu, Issue Date February 5, 2002, Patent Number 6,343,640. A patent on “Ionic Liquid Temperature Sensor” was issued. Inventors are B. Wu, J. D. Holbrey, R. G. Reddy and R. D. Rogers. June 15, 2004, Patent No. US 6,749,336. A patent on “Production, Refining and Recycling of Lightweight and Reactive Metals in Ionic Liquids” was issued. Inventors are B. Wu, R. G. Reddy and R. D. Rogers. April 19, 2005, Patent No. US 6,881,321. A patent on “Production, Refining and Recycling of Lightweight and Reactive Metals in Ionic Liquids” was issued. Inventors are B. Wu, R. G. Reddy and R. D. Rogers. March 25, 2008, Patent No. US 7,347,920. A patent on “Aluminum Recovery Process” application was filed in the United States Patent Office on February 11, 2009. US Provisional Patent Application No. 61/027,695. Energy Best paper Award: Energy committee, 2010 Light Metals Division Energy Paper Award, TMS, 2010. TMS Distinguished Service Award: 2012 Alexander Scott Distinguished Service Award, TMS 2012. Energy Best paper Award: Student award, Energy committee, Light Metals Division, TMS, 2013. Distinguished Alumni Professional Achievement Award, National Institute of Technology, 2016. Distribution of Metals (copper, cobalt, nickel) Between Alloys and Silica Unsaturated Iron Slags, by C. C. Acholonu, 1983. Laboratory Studies of Cleaning of Slags from Copper Smelter, by G. P. Singh, 1983. Thermodynamic Activity of Nickel Oxide and Cobalt Oxide in Nickel Smelting Slags, by P. Sahoo, 1984. 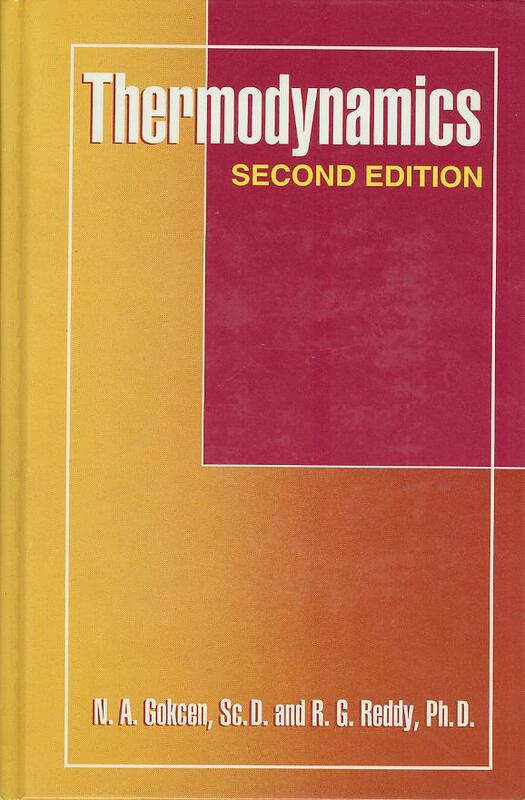 Fundamental Studies on Electrochemical Production of Al-Li Alloys from Oxy-fluoride Melts, by A. R. Narayan, 1988. Modeling of Viscosities in Liquid Melts and Experimental Determination of Spent Potlining, by H. Hu, 1989. Modeling of Sulfide Capacities in Binary and Ternary Silicate Slags, by B. Chen, 1990. Viscosity Modeling and Glass Formation Characteristics of Oxy-fluoride Melts, by K. N. Hebbar, 1991. Synthesis and Characterization of Glass-Ceramics from SPL Waste, by S. Shrivastava, 1991. Thermodynamics Studies on Solubility of Nickel, Chromium and Iron in HF-HNO3-H2O Solutions, by S. Wang, 1992. Fundamental Studies of High Temperature Slags and Glass-Ceramics Melts, by J.Y. Yen, 1992. Fundamental Studies on Electrochemical Processing of Lightweight Alloys, by P. T. Velu, 1995. Sulfur Reactions in Highly Ordered Liquid Melts, by W. Zhao, 1995. High Temperature Reduction of Metal Oxides in a Simulated Reactor using Oxygen and Hydrocarbon Rich Gases, by T. P. Gribben, 1995. 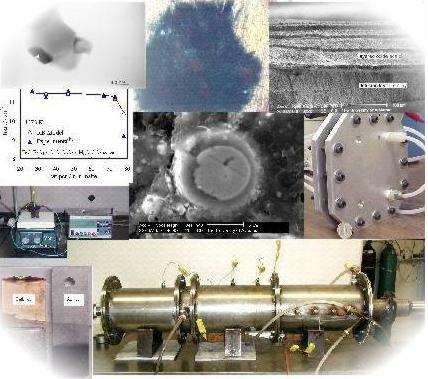 Processing of Uranium Contaminated Soils using Zeolites, by Z. Cai, 1996. Thermodynamic Properties of Molten Metal Systems (non-thesis), by R. Singareddy, 1997. Oxidation Behavior of Ti-Al Binary Intermetallics, by X. Wen, 1997. Oxidation Studies of Ti-Al-X (Nb, Ta, Cr) Alloys, by Y. Li, 1997. Plasma Processing of Waste Magnesium Oxide, by S. W. White, 1999. Laser and Infrared Processing of Aluminides, by S. M. McElroy, 2001. Studies on the Electrode Materials for Capacitance Property in Electrochemical Capacitors, by S. Janakiraman, 2001. Bipolar Plate Materials and Single Cell Model for Polymer Electrolyte Membrane Fuel Cells, by A. Kumar, 2002. Sulfide Capacities of Binary and Multicomponent Aluminate Slags, by A. M. Yahya, 2002. Electrorefining of Aluminum Alloys in Ionic Liquids via Near Room Temperature Electrolysis, by V. Kamavaram, 2002. Structure and Properties of Al-Si Alloy Centrifugal Castings, by K. G. Cook, 2003. Non- Noble Metals Catalysts for the Production of Hydrogen use in Fuel Cells, (non-thesis) by V. Valiandan, 2004. Thermal Plasma Processing of Al-SiC Ultrafine Composites, by L. V. M. Antony 2004. Development of Bipolar Plate Materials for PEM Fuel Cells, by V. Nikam, 2004. Laser Surface Modification of Titanium Alloy, by A. P. Joshi 2004. Thermal Plasma Processing of Boron Carbide Nano-powders, by N. Thakkar, 2005. In-Situ Processing of Magnesium Metal Matrix Composites, by S. Tyagi, 2005. Development of Materials for Direct Methanol Fuel Cells (DMFC), by B. Padhy, 2005. High Temperature Oxidation of Ti-Al-X (Nb, Mo, Cr) alloys, by Dusti Livingston, 2005. Thermodynamic Properties determination of Al-Nb alloys using EMF, by P. George, 2006. In-Situ Processing of Lightweight Metal Matrix Composites, by V. Namilakonda, 2007. High Temperature Oxidation of Nb-Al alloys, by Chris Williams, 2008. Thermal properties of Low Melting Molten Salts for Solar Thermal Energy Storage, by Tao Wang, 2011. Electro-deposition of Zinc and Lead from Oxide Compound Using Choline Chloride and Urea Based Ionic Liquid by Haoxing Yang, 2014. Electrodeposition of Titanium Aluminides from Aluminum Chloride in 1-Butyl-3Methyl imidazolium chloride Ionic Liquid by M. R. Bogala, 2015. Chemical and Physical Properties of Novel High Thermal Energy Density Molten Salt Systems for Concentrating Solar Power (CSP) Storage by Yuxiang Peng, 2016. Optimization of Cobalt Electrodeposition from Cobalt Chloride using Urea and Choline Chloride Ionic Liquid by Andrea R. Kim, 2016. Synthesis and Characterization of TiNi1+xSn Thermoelectric Alloys by Jacob S. Young, 2017. Physico-Chemical Properties of Molten Salt Systems, by S. Wang, 1994. Synthesis and Phase Equilibria Studies on Intermetallic Aluminides based on Titanium and Niobium, by S.G. Kumar, 1994. In-situ Formation of SiC in Al-Si Melt, by D. M. Kocherginsky, 1995. Processing of Reactive and Rear Earth Metals and Alloys from Molten Salts, by P. T. Velu, 1997. Experimental Studies and Modeling of Viscosities of Borate and Borosilicate Melts, by Z. Zhang, 1999. Thermal Plasma In Situ Processing of TiN and TiC Reinforced Fe Alloy Ultrafine Composites from Ilmenite, by S. Niyomwas, 2001. In-Situ Processing of AlN Particle Reinforced Aluminum Alloy Composites, by Q. Zheng, 2003. Bipolar Plate Materials Development and System integration of PEM Fuel Cells, by A. Kumar, 2004. Novel Electrochemical Refining of Aluminum Based Materials in Low Temperature Ionic Liquid Electrolytes, V. Kamavaram, 2004. Development of Molten Zinc Resistant Materials, by S. M. McElroy, 2005. Development of Electrode Materials for Electrochemical Double Layer Capacitors, by R. Nagireddy, 2006. Plasma Processing of Nanocomposites, by L. Tong, 2006. Electrochemical Processing of Aluminum using Ionic Liquids, by M. Zhang, 2008. Development of Copper Base Materials for Bipolar Plate applications in Polymer Electrolyte Membrane Fuel Cells, by V. Nikam, 2008. Designing, Manufacturing and Testing and optimizing of Micro-Fuel Cells (µ-FC), by Y. Lu, 2009. Electrochemical Processing of Reactive Metals using Ionic Liquids, by D. Pradhan, 2010. Thermodynamics and processing of Nanoscale Materials, by M. Ramachandran, 2012. Kinetic Studies of Anode Materials for Solid Oxide Fuel Cells (SOFC), by Rupak Das, 2013. Theoretical and Experimental Determination of Chemcial and Physcial Properties of Novel High Thermal Energy Density Molten Salt Systems for Concentrating Solar Power (CSP) Storage, by Tao Wang, 2014. Electro-deposition of Zinc from Zinc Oxide Using Choline Chloride and Urea Based Ionic Liquid by Haoxing Yang, 2015. “Study on the Electrodeposition of Metals from Amide Based Room Temperature Molten Salts” (Co-advisor), Northeastern University, China, by Min Li, 2016. Synthesis, Characterization and Phase Stability of High Temperature Thermoelectric Metal Borides and Silicides by Mallikharjuna R. Bogala, 2016. Dr. M. Blander, Argonne National Laboratories, Argonne, IL. Professor L. Brewer, University of California, Berkeley, CA. Dr. N. A. Gokcen, US Bureau of Mines, Albany, OR. Dr. A. E. Torma, Idaho National Engineering Laboratories, Moscow, ID. Professor P. K. Rao, Indian Institute of Technology, Bombay. Dr. R. K. Mishra, Pease & Curren, Inc., RI. Mr. E. Morrice, Jr., US Bureau of Mines, Reno Research Center, Reno, NV. Dr. A. P. Lingras, Gas Research Institute, Chicago, IL. Dr. C. Coekelbergs, Metallurgie Hoboken-Overpelt (MHO), Research Development and Technology Center, Belgium. Professor K.C. Chou, University of Science and Technology Beijing, Beijing, China. Mr. M. N. Ahmad, ETICAM, Fallon, NV. Mr. J. Holthus, Lawrence Berkeley Laboratories, Berkeley, CA. Mr. J. Wu, Lawrence Berkeley Laboratories, Berkeley, CA. Mr. K. Libsch, APTUS, Salt Lake City, UT. Dr. S. G. Kumar, University of Nevada, Reno, NV. Dr. J. U. Ejiofor, Enugu State University of Technology, Enugu, Nigeria. Dr. V. Sikka, Oak Ridge National Laboratory, TN. Dr. R. B. Inturi, The University of Alabama, Tuscaloosa, AL. Professor M. K. Mohan, National Institute of Technology, Warangal, India. Dr. B. Wu, The University of Alabama, Tuscaloosa, AL. Dr. L. Tong, The University of Alabama, Tuscaloosa, AL USA. Dr. M. Ramachandran, The University of Alabama, Tuscaloosa, AL, USA. Dr. N. S. Chahil, The University of Alabama, Tuscaloosa, AL, USA.